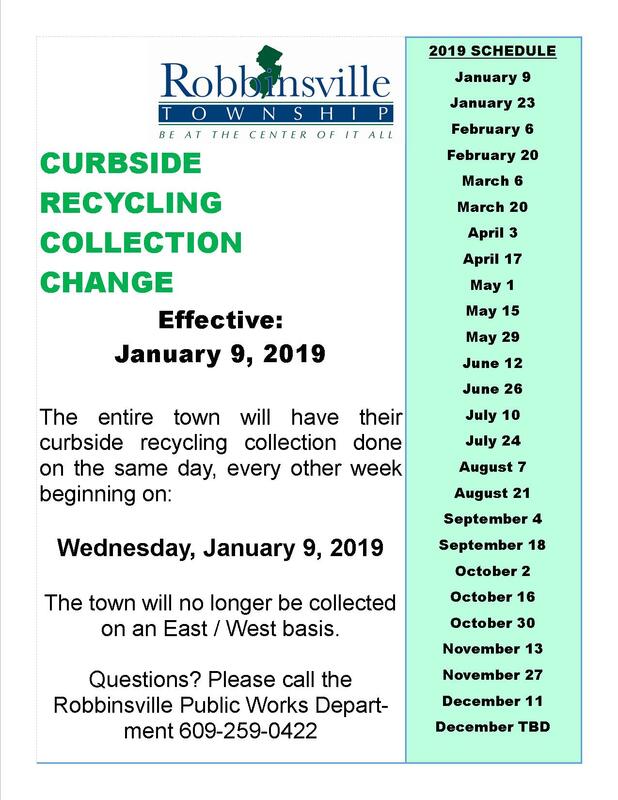 Please be advised that in 2019 curbside recycling collection will no longer be on an East/West, every other week schedule. Beginning January 9, 2019 our new vendor, Central Jersey Waste, will pick up all Township recycling on the same day, every other week. Please call DPW at (609) 259-0422 with any questions.